The Willow Tank primitive campsite is located along the central portion of the Old Ore Road. 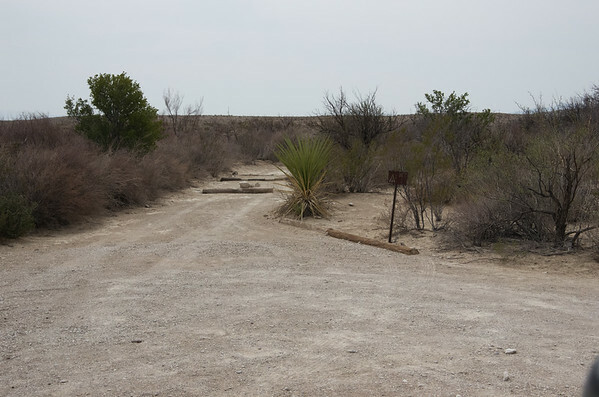 Via the Old Ore Road, 10.1 miles from the main paved road to Rio Grande Village (16.3 miles from the Dagger Flat Auto Trail). The access road to the campsite is less than 0.1 mile in length on the west side of the road. High clearance is highly recommended and 4-wheel drive may be necessary after recent rains. The short campsite access road is usually in good condition. Ask a Park Ranger for the latest road conditions. No shade in winter due to the dormant state of vegetation. In summer, the nearby mesquite, guayacan, lotebush, and other shrubs would provide a small amount of shade to sit under. No shade for parking or tenting however. This site is fairly exposed to wind. Good view of the Dead Horse Mountains to the east. High clearance vehicles are highly recommended and 4-wheel drive may sometimes be necessary, especially after rain. 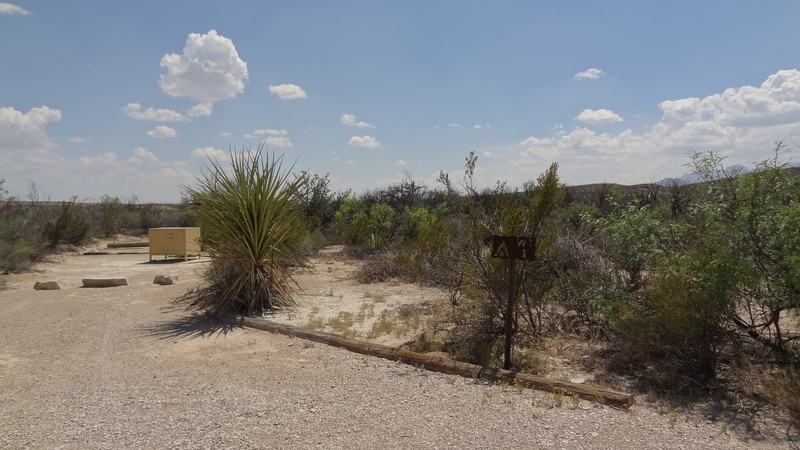 This site is named for the large earthen tank built by ranchers to provide water for livestock. It is nearby a natural spring. This is a good site for wildlife. This picture is from my July 23, 2015 drive down Old Ore Road from north to south.